With the advent of modern technology in dentistry, both patients and dentists have something to smile about. These advances have resulted in faster, more efficient treatment and significant improvements in patient comfort. A small brief summary of the technologies we use is included below. • Air Abrasion; Drilless Dentistry – This technology uses high pressure air and abrasive non-toxic particles to treat the affected tooth area. 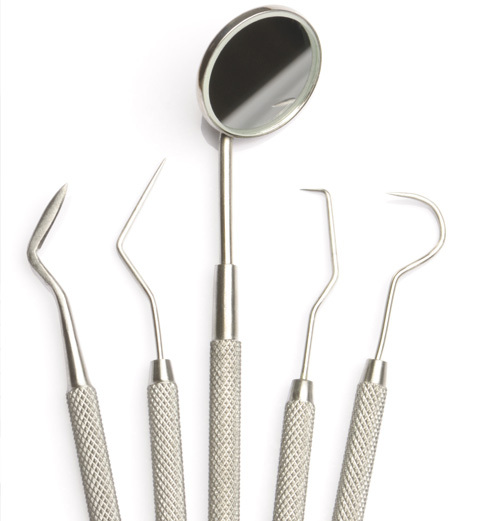 This tool is highly accurate and allows us to maintain as much of your natural tooth enamel as possible. Procedures can often be completed without the need for local anaesthesia. Air abrasion is ideal for small cavities caught early, especially in children who maintain a regular dental care schedule. • Laser: Dental lasers can be used to help speed up the healing process of painful canker sores, aphthous ulcers, and embarrassing herpetic lesions (cold sores). The Picasso by AMD Lasers is a soft tissue laser that can safely and quickly be used to perform minor tissue surgery procedures. This precision creates a situation with less swelling and faster healing. In our office, lasers are used in many situations including gum surgery and contouring as well as periodontal treatments, all with an increased hygienic environment and decreased recovery times. We welcome you to our dental family, and look forward to hearing from you! Call us today: (416) 241-2508 or visit us at our Etobicoke Dental office.